You know it’s apple picking season when Bay State Road is beautifully lined with fall foliage and students taking photos for Instagram. PHOTO VIA WIKIMEDIA COMMONS. Sept. 22 marked the first official day of autumn. Sadly, a few of my friends are still mourning summer and their sandals. While I will miss wearing my Rainbow Sandals, I am absolutely ecstatic that fall has finally fallen upon us once again. Apart from the crisp weather and pretty foliage, there is a certain nostalgia about the season that makes everything so much more serene and beautiful. Here’s a list of my five favorite fall-themed activities to help get you in the spirit (or at least help you get over summer). To me, fall is synonymous with football. Since middle school, the turn of the leaves signaled the start of something more than just cooler weather to come. It meant uniform fittings and cheering under bright stadium lights. Now that I’m in college, I’ve become even more nostalgic for the fall season. This classic show perfectly captures the exhilaration that comes with every Friday night football game under the lights, as well as the angst of high school life. I usually watch “Friday Night Lights” when I miss being immersed in a culture and mood that lived and breathed fall ball. If you haven’t already, go apple picking! What’s more quintessentially fall than brightly colored apples in baskets and cider donuts in parchment? Honey Pot Hill Orchards is just west of Boston, and seems to be a popular destination for apple-picking-hungry Boston University students. However, if you’re looking for a closer alternative, Belkin Family Lookout Farm is slightly closer. Located in South Natick, this farm even offers a taproom to try your favorite fall ciders. Even if apple picking isn’t your thing, it’ll be a worthwhile trip. I have friends who’ve gone apple picking solely for the aesthetic of it all. Do it for the Instagram, am I right? Fall also happens to be the season of grapes! For those of you looking to enjoy something a bit more refined with fewer children running around, I would recommend touring a winery. With wine harvesting season coinciding with autumn, it’s a quaint way to relax and learn about how your favorite wine is made (while drinking it after the process). As previously mentioned, fall means football. With football comes tailgating and nothing is more seasonally appropriate than getting together with friends and eating copious amounts of smoked foods. While tailgating was not really an option for us players or cheerleaders, now that I’m in college, I fully intend on taking advantage of the pre-game festivities. Just remember to layer up! The bleachers get icy cold very quickly. It always amazes me how picturesque campus becomes at the turn of fall. Even the ugliest of places look magical with a sprinkle of red and orange foliage. The Arnold Arboretum is a great place to view nature in all of its fiery glory. 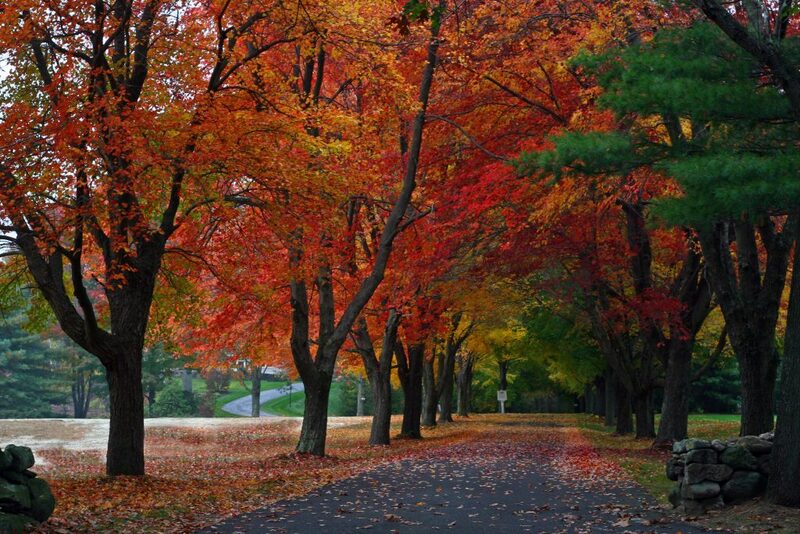 Run by Harvard University, the Arboretum has 281 acres of scenic landscape. It’s the perfect place to go with your special other. For the singles out there, it’s also a great place to take your parents when they come up for Parent’s Weekend.